DYK? Lemons contain more sugar than strawberries. Did you know? Here are some fun, interesting and sometimes weird chemistry facts. Did you know... you can't taste food without saliva? Did you know... it's possible to get sick or even die from drinking too much water? Did you know... liquid oxygen is blue? Did you know... fish scales are a common lipstick ingredient? Did you know... some lipstick contains lead acetate or sugar of lead? This toxic lead compound makes the lipstick taste sweet. Did you know... the average shot of espresso contains less caffeine than a typical cup of coffee? Did you know... Coca-Cola originally contained cocaine? 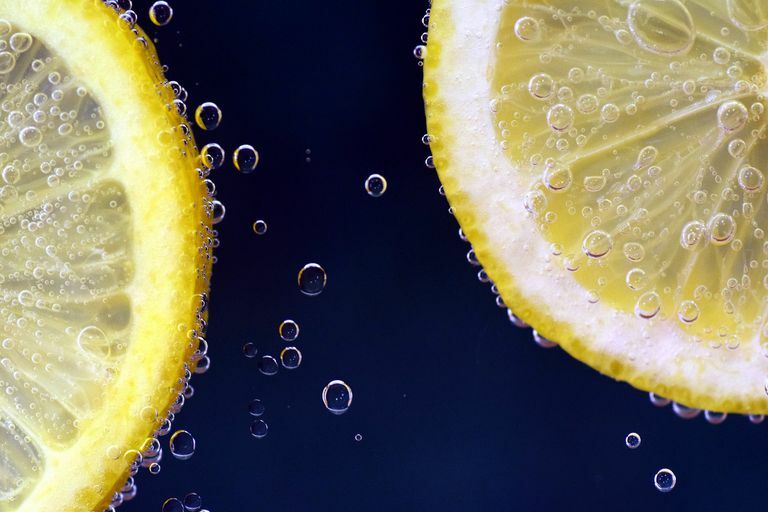 Did you know... lemons contain more sugar than strawberries, for the same mass? Did you know... lobster blood is colorless until it is exposed to air? Then the blood appears blue. Did you know... goldfish eyes perceive not only the visible spectrum but also infrared and ultraviolet light? Did you know... when you freeze saltwater or seawater slowly, you get freshwater ice? Icebergs are freshwater, too, although that is because they come from glaciers, which are made from freshwater (snow). Did you know... if you exposed a glass of water to space, it would boil rather than freeze? However, the water vapor would crystallize into ice afterward. Did you know... a fresh egg will sink in fresh water? A stale egg will float. Did you know... the wallpaper in Napoleon's room was dyed with Scheele’s Green, which contains copper arsenide? In 1893 the Italian biochemist Gosio found that dampening wallpaper containing Scheele’s Green allowed a specific mold to convert the copper arsenide into poisonous arsenic vapor. Although this may not have been the cause of Napoleon's death, it certainly can't have helped his health! Did you know... sound travels 4.3 times faster in water than in air? Of course, it doesn't travel through a vacuum at all. Did you know... about 78% of the average human brain consists of water? Did you know... macadamia nuts are toxic to dogs? Did you know... a lightning strike can reach a temperature of 30,000 degrees Celsius or 54,000 degrees Fahrenheit? Did you know... fire typically spreads uphill more quickly than downhill? This is because temperature affects the rate of combustion. The region above a fire tends to be much hotter than the area below it, plus it may have a better supply of fresh air. Did you know... frogs don't need to drink water since they can absorb it through their skin? Humans, on the other hand, have waterproofing proteins in their skin to help prevent water loss. Did you know... the hardest chemical in your body is your tooth enamel? Did you know... urine fluoresces or glows under ultraviolet light? Did you know... pearls, bones, and teeth will dissolve in vinegar, which contains weak acetic acid? Did you know... the chemical name for water is dihydrogen monoxide? Did you know... you can extend the life of rubber bands by storing them in the refrigerator? Did you know... the ethylene gas produced by a ripening apple ripens other apples as well as many other types of produce? Did you know... water expands about 9% when it freezes into ice? Did you know... Mars is red because its surface contains a lot of iron oxide or rust? Did you know... you've lost about 1% of your body's water by the time you feel thirsty? Did you know... you have chemoreceptors or taste buds on the inside of your cheek as well as on your tongue? Did you know... it's possible for hot water to freeze more quickly than cold water?